When G and I started planning our holidays in France, we were going to head to Corsica to get our beach fix. But there is almost no tourist information on Corsica, so we decided to go to Sardinia for a week instead, the Italian island just south of Corsica in the Mediterranean. Sardinia doesn’t get a ton of attention on the Internet or elsewhere either (in English at least), but I’m really not sure why. It’s absolutely stunning. The mountainous interior landscape is perfect for trekking and climbing, and the endless coastline is abound with views of turquoise waters and limestone cliffs. The island literally has everything you could ever want out of a vacation: you could stay in a resort, you could go camping, biking, road-tripping, you could stay on agriturismo – small farms dotting the countryside…It’s really a never-ending list of fun. 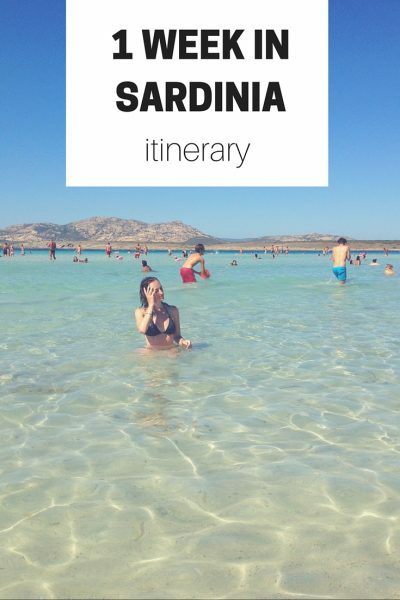 That being said, it took us a lot of research to develop our Sardinian itinerary, so I vowed I would publish one featuring our 7 days in Sardinia when I returned to help out others and spread the gospel about how incredible this island is. 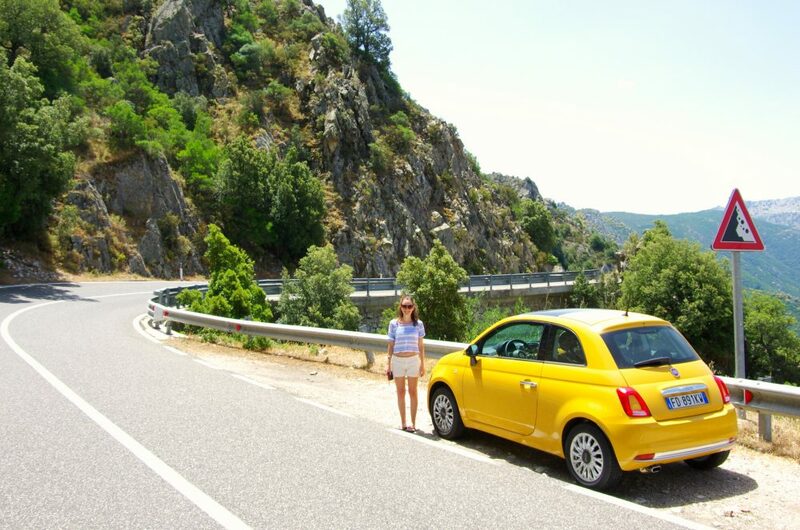 You’ll definitely need a car to get around Sardinia. Rent one online before going, and make sure to get an automatic if you don’t know how to drive manual. It’s easy to find your way around: Sardinia doesn’t have a ton of roads to begin with, and there are signs everywhere. We navigated without using any GPS, just paper maps the whole time! Bring or plan to buy a sun hat. The sun is absolutely brutal! Sardinians are incredibly kind and friendly. Learn some basic Italian to get around, though, as there is very little English spoken on the island. Bring a waterproof camera. You won’t regret it. One week is not long enough to see the entire island. We were flying in and out of Olbia, so we decided to drive a circle around the northern half of the island. You could do the same for the southern half if you’re really interested in seeing the capital city, Cagliari, or you could just pick one spot to stay (e.g. 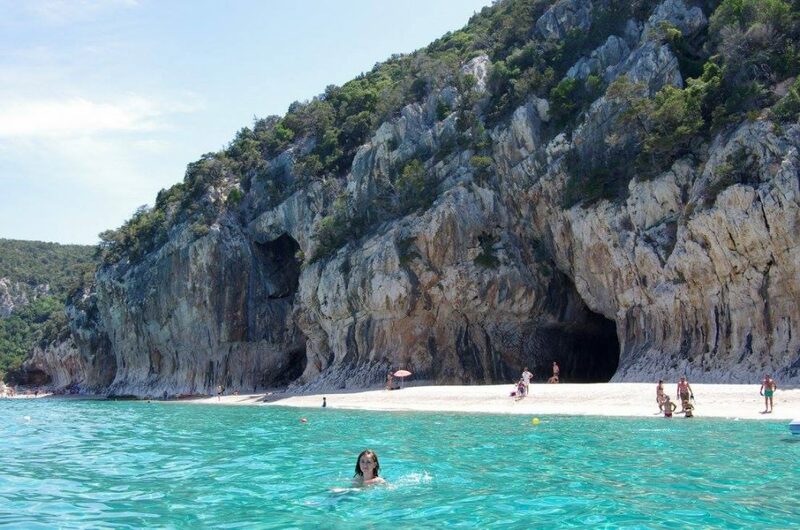 Cala Gonone) and then make day trips from there as needed. We spent a lot of time in the car. While I’m grateful we got to see so much and understand the regional differences and see a variety of landscapes, if I went again, I would want to just chill in one region and soak it all in. We spent our first day getting our bearings and adjusting to the jet lag. We walked around the town of Cala Gonone, chilled in the sun on the rocky beach nearby, and had a blissful dinner overlooking the water and coastline at our hotel. 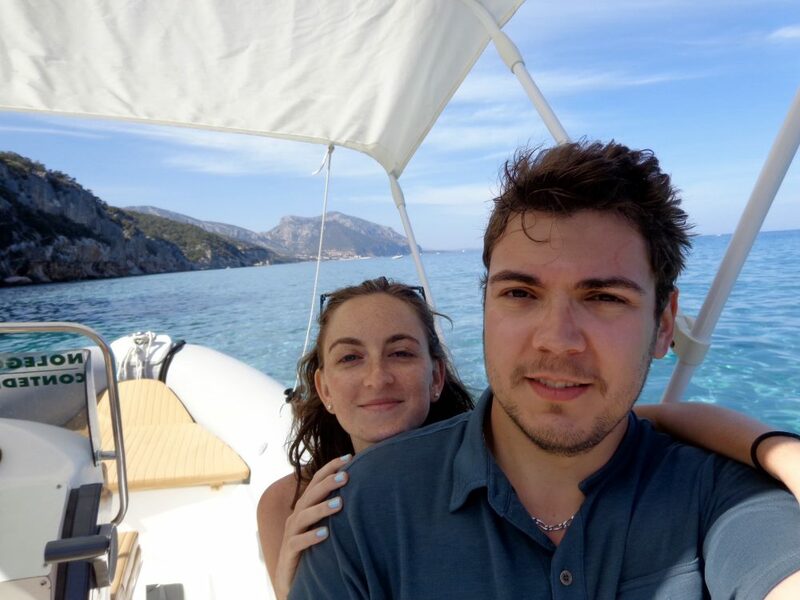 The next day, we rented a private dinghy boat and took to the waters! 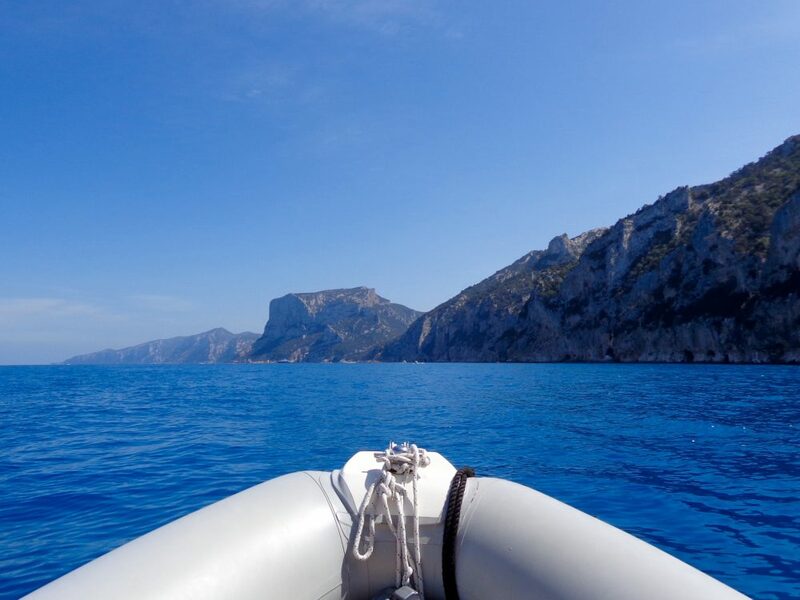 We boated to the incredible beaches along the Golfo di Orosei. The water was a clear and sparkling turquoise everywhere we went. I think this was unquestionably our favorite experience in Sardinia. How about the color of that water?! The next day, we drove along the SS 125 highway to see the views of the inland valleys. We glimpsed the canyon Gorropu from afar and ended up at a swimming spot recommended by Massimo, the owner of our hotel, where the rocks spilled into the emerald water. We had this spot almost all to ourselves (there was just a handful of other people coming by to check it out) before retreating to the car and making the drive to Alghero by way of Bosa. 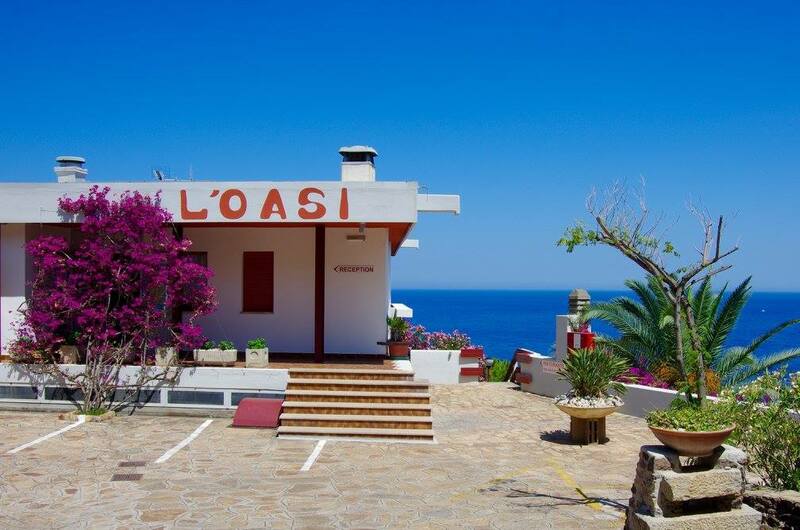 Stay: Hotel L’Oasi (book online here) was literally a rooftop corner of paradise. Butterflies fluttering by greeted us as we rolled up in our yellow Fiat. The understated rooms and reception/restaurant area are complemented by breathtaking views of the gulf and the Mediterranean Sea. It’s easy to see why this hotel is a crowd favorite (just check out their Booking.com reviews): not only are the views out of this world amazing, but the lovely owners, Massimo and Caterina, serve up delicious authentic Sardinian food at dinner and even breakfast (definitely go for half-board if you stay here). For more on Hotel L’Oasi, see my post about Cala Gonone. We woke up in Alghero, a Sardinian city in the northwest with strong Catalan influences. We spent the day walking around the charming historic city center then took the ferry to Grotta di Nettuno, Alghero’s most popular tourist attraction. The caves were enormous! The main room (“cathedral room”?) 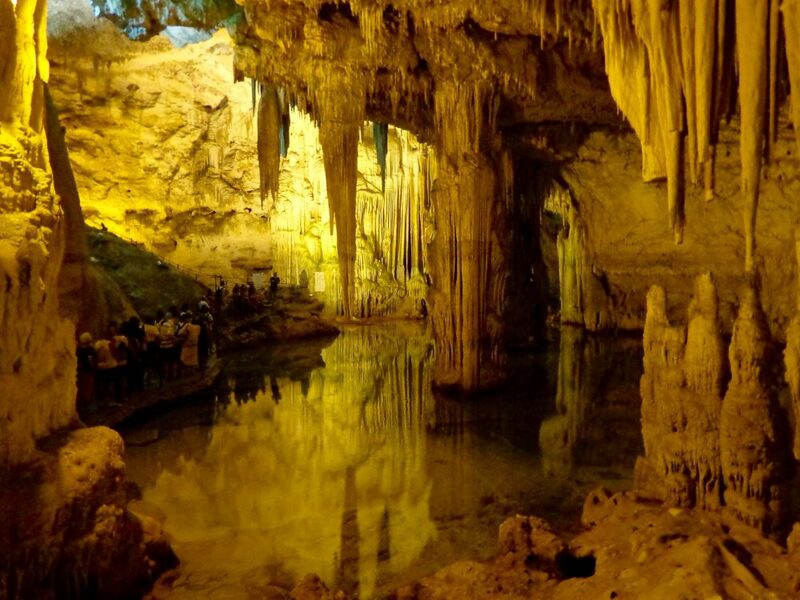 was especially impressive, but unfortunately the cave magic didn’t really translate on camera. You’ll just have to see it for yourself. 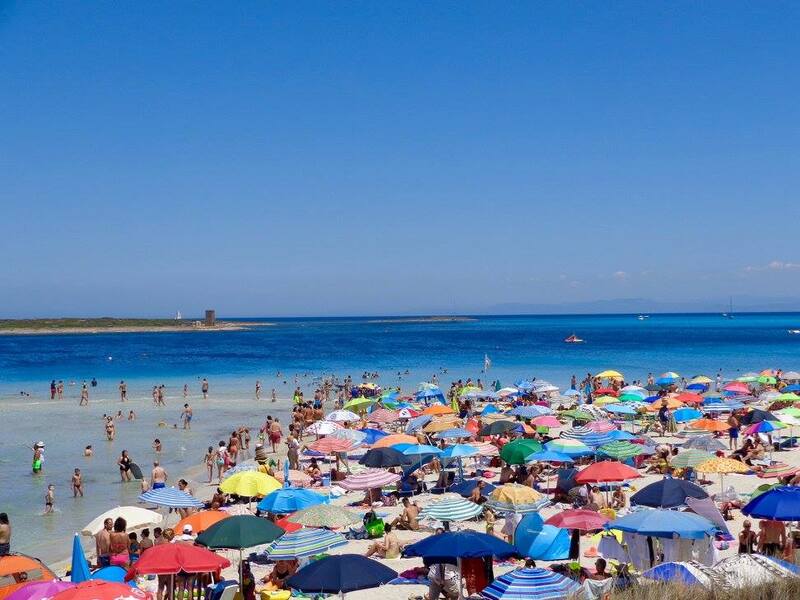 The next day, we drove up to Spiaggia della Pelosa, which is a beach mentioned by one of the contributors to my post on bloggers’ favorite beaches. It was so cool to see in person what I had previously blogged about – and I definitely see how it could become someone’s favorite beach. We explored the nuraghis, or Neolithic ruins, around Arzachena. 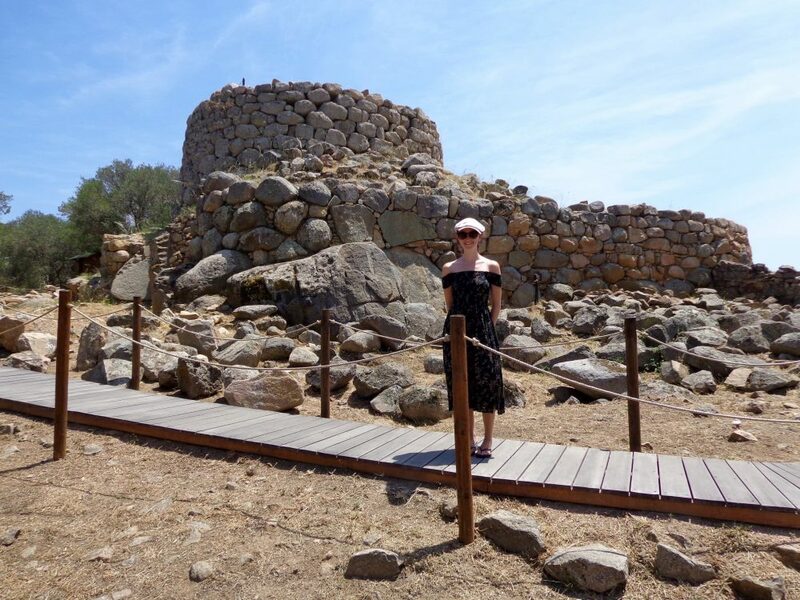 Our favorite was Nuraghe la Prisgiona, which had a big dome made of stones that you could enter as well as a still-functional ancient well! Gatien read between the lines of our Lonely Planet guide and found a brief mention of the Olivastri Millenari: olive trees purported to be over 3,000 years old. Given my obsession with olives, this was the perfect excursion. 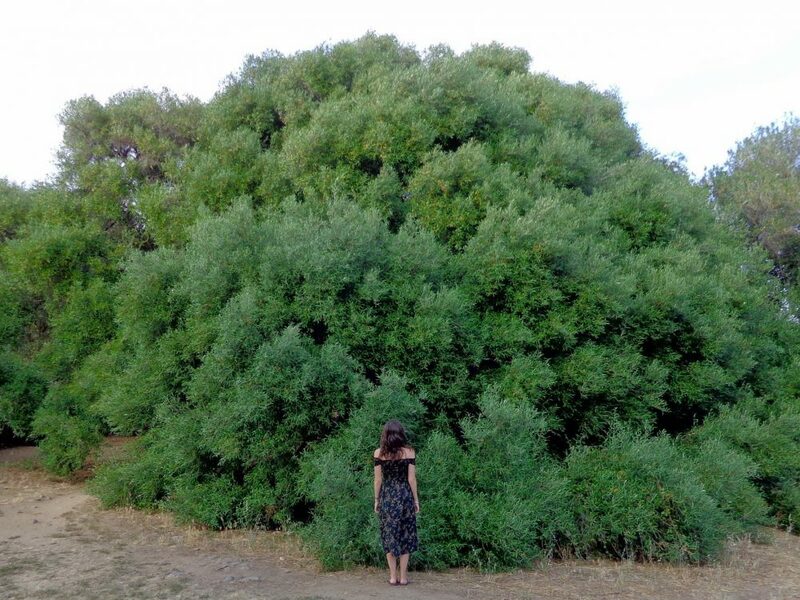 I had been dying to set sight on some olive trees since arriving to Sardinia. Turns out the site closes before 6pm (I don’t remember the exact time) so we had to jump the fence (oops :/). The trees were huge and had little baby olives on them. There was something really mystical about them – I felt like maybe one of them would start singing the Grandmother Willow song from Pocahontas while we stood in awe at their base. We also drove through Costa Smeralda to see what all the fuss was about (this is the most touristed region of Sardinia). It was pretty but we prefer Cala Gonone’s down-to-earth vibes. During our drive back home, we happened upon a grove of Sardinia’s famed cork trees. I’ve never seen one before so this was really interesting. Thank you to Hotel L’Oasi for their hospitality! As always, I only write the truth based on my experiences. What a gorgeous vacation you had! I’m pinning this in case I ever make it out there some day! Wow, looks like a lovely vacation you had! 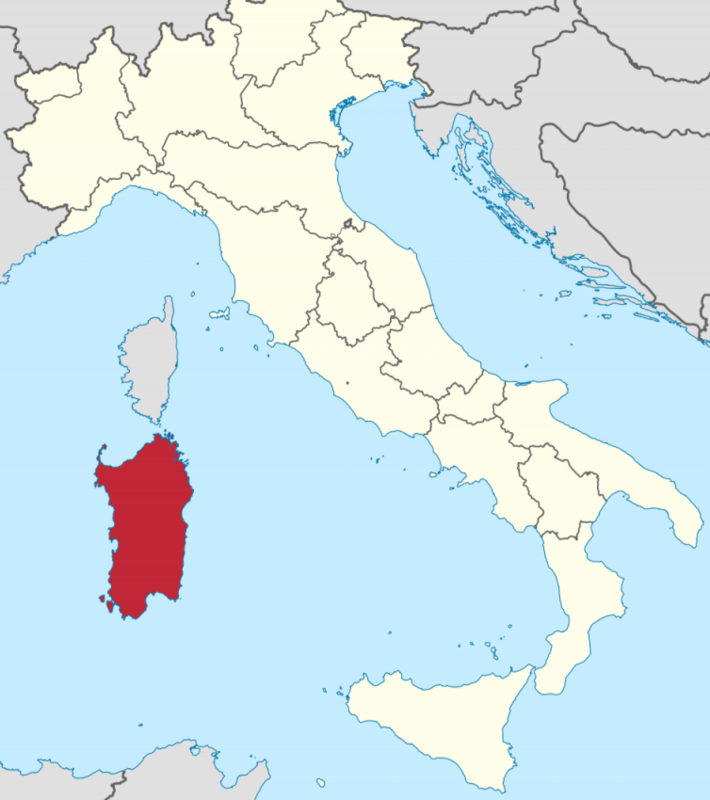 I never knew much about Sardinia, so this was so interesting to read! Thanks for sharing your trip! Yeah I didn’t know anything about it before either! We went to Italy two years ago and loved it! We never got to Sardinia though. Maybe next time! SO beautiful! I love the photos! I hope we can make it there someday soon! 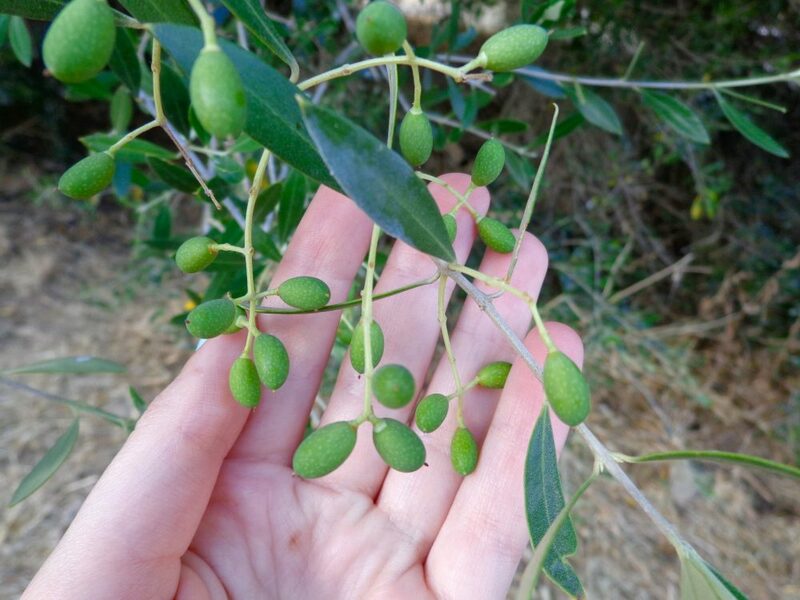 Looks like you had an incredible time with so many opportunities to explore history in the neolithic ruins and the beautiful greenery from the olive trees. It’s great to learn about a place that isn’t traveled to as much and I’m glad there are still places like this to explore someday and treasure. Thanks so much. We’re heading there in sept. for 3 weeks and your help is most useful. 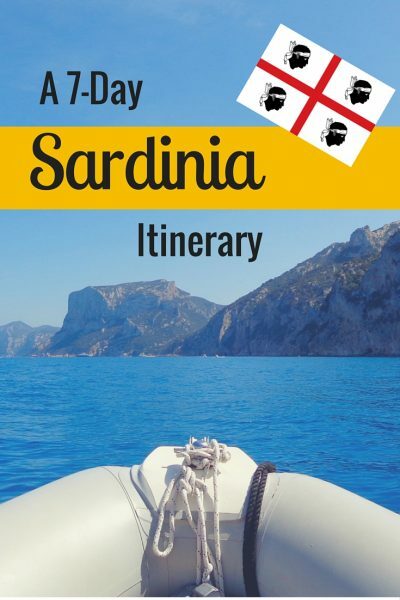 I have always wanted to go to Sardinia! I looked into it while living in Europe but we decided on somewhere else. Now, after seeing your photos, I wish we would’ve gone! Thank you for sharing!! It’s a great addition to a south of France trip – if you’re going in the summer months, the south of France is honestly so crowded it can be overwhelming and prices are jacked up. But Sardinia is way less touristed. Oh my gosh your pictures are amazing! I didn’t even know this place existed! Hi Ewa! We used Europcar, I think because their insurance deal was the easiest to navigate. Renting with them turned out great. Jealous of your trip – you’re gonna have an amazing time! Hello, do you need a driving licence to rent a boat? Yes I think you need a driver’s license! What a coincidence! 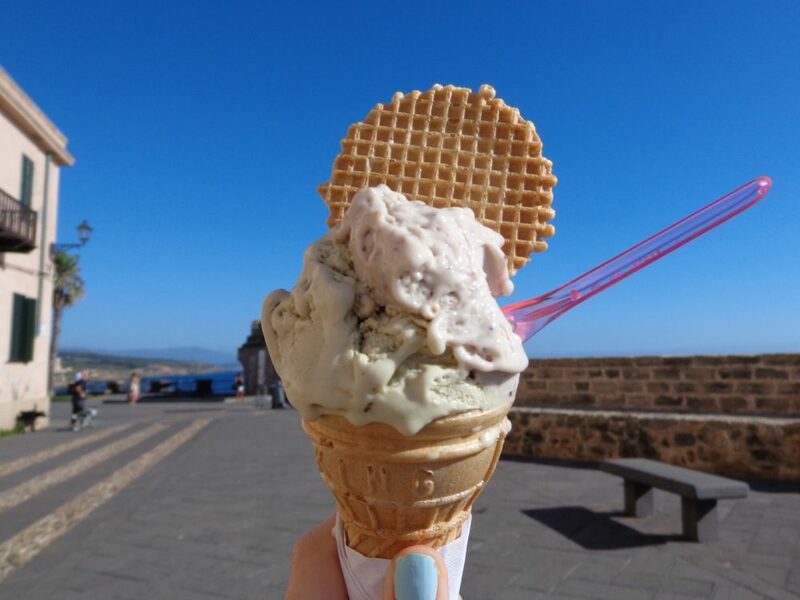 I was looking on Pinterest for cool images of Sardinia to add to one of my boards and I stumbled upon this article and also discovered that you have linked to my guide, thanks a lot! I’m so happy you had a good time on my Island! The only thing I saw that made me cringe was the picture with the beach filled with umbrellas, I know it’s like that during high season (with a few exceptions known only by some of the locals) 🙂 Such a pity but everyone wants a piece of paradise!